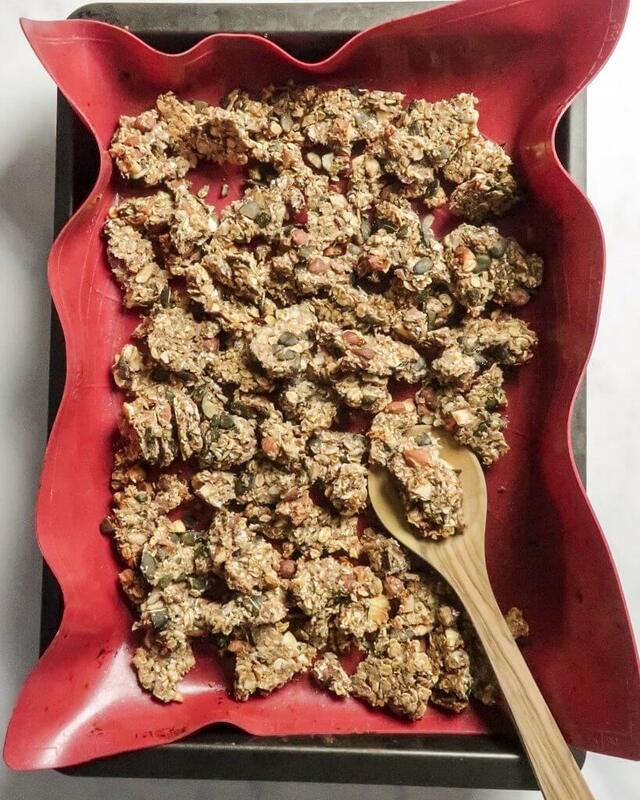 This healthy banana granola is vegan, oil-free and refined-sugar-free. It’s made with nut butter instead of oil and sweetened with bananas and dates. 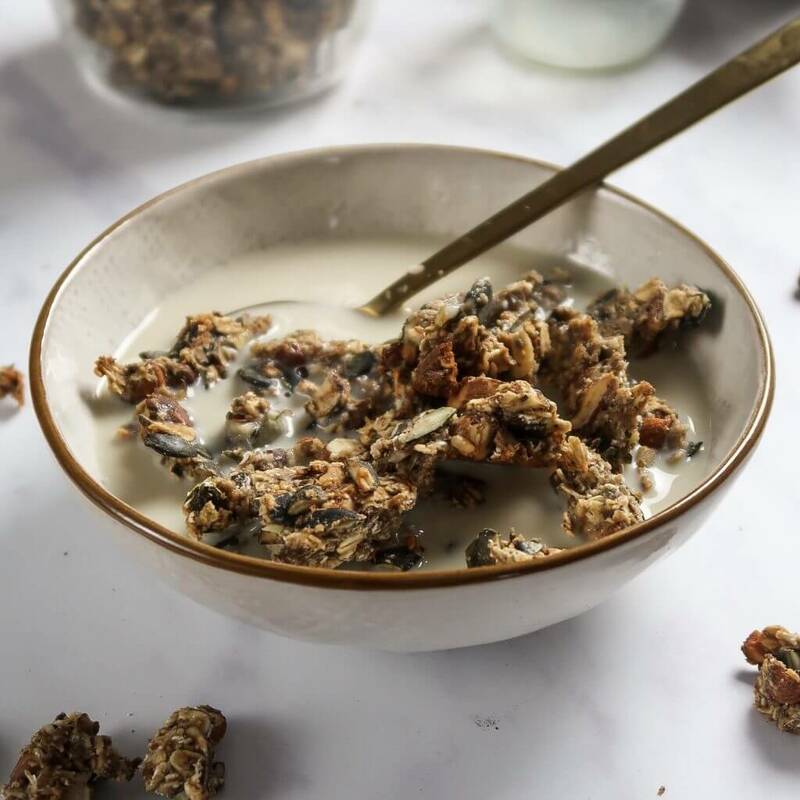 Enjoy this healthy banana granola with some plant-based milk, soy yogurt or simply on its own as a snack. To make granola, you will usually need something sweet, something sticky, something oily and some dry ingredients. 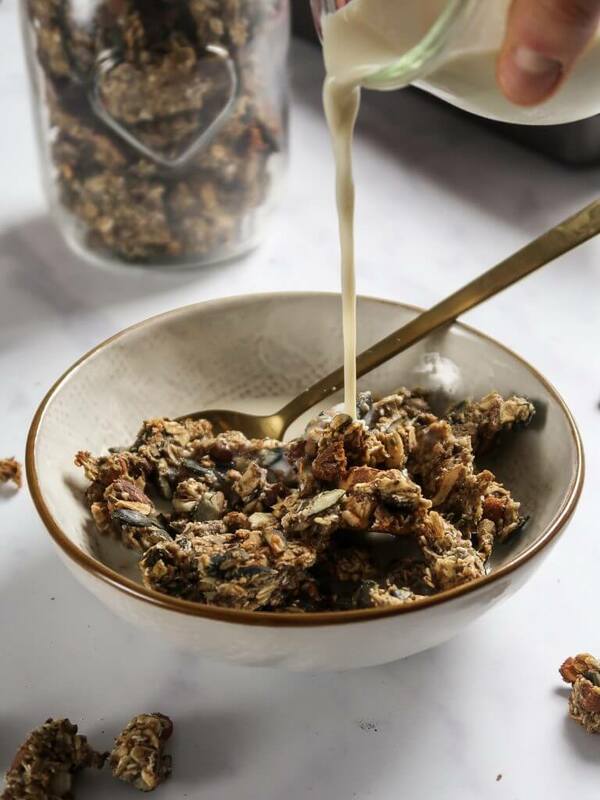 Most recipes use coconut oil and maple syrup to make the granola sticky and sweet but I wanted to create a somewhat healthier recipe. I came up with a recipe that uses mashed bananas for sweetness but also for moisture and to help bind all the ingredients. A very ripe banana with brown spots on the outside will work best for this recipe. Since the bananas lose some of their sweetness during the baking process, I decided to also add a couple of dates for some extra sweetness. Instead of coconut oil, this recipe uses tahini. If you don’t have tahini or don’t like it, you can also use any other nut or seed butter such as peanut or almond butter. Check out this post on how to make your own nut butter. 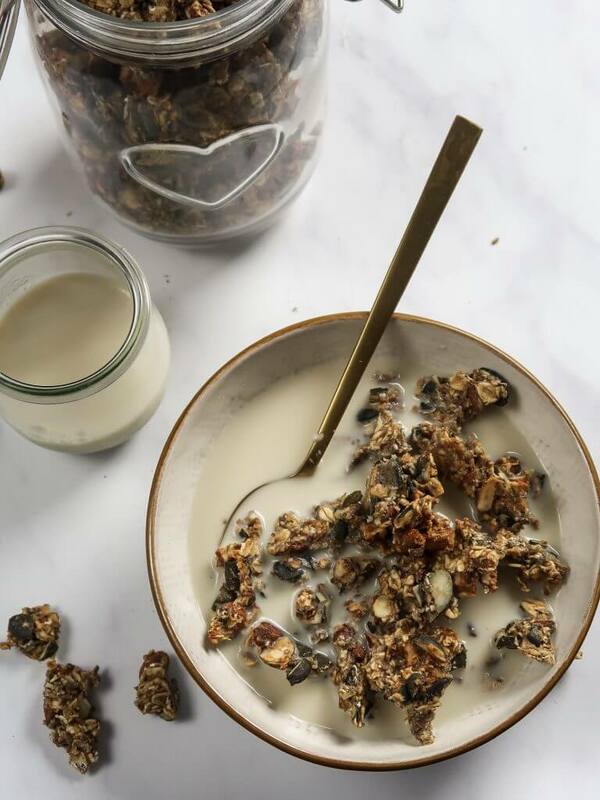 The trick to making super chunky and crunchy granola is to press the granola mixture firmly into the baking tray before it goes into the oven – like you are making a giant granola bar. Then you want to bake it at a rather low temperature for ~30 minutes. This gives the granola enough time to dry and become crunchy without burning. When you flip the granola, the big piece will break into smaller chunks but that is totally fine. You will still have a crunchy, chunky granola as a result – don’t worry! 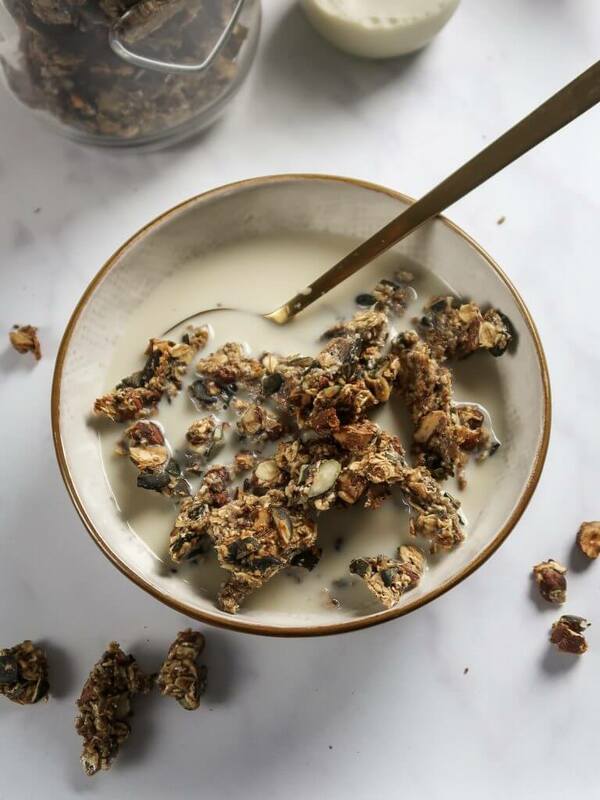 Of course, you can simply enjoy this healthy banana granola with some plant-based milk. 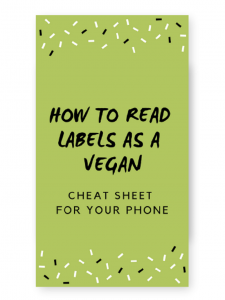 I think it also goes great with plant-based yogurt like soy yogurt and a spoon of creamy peanut butter. 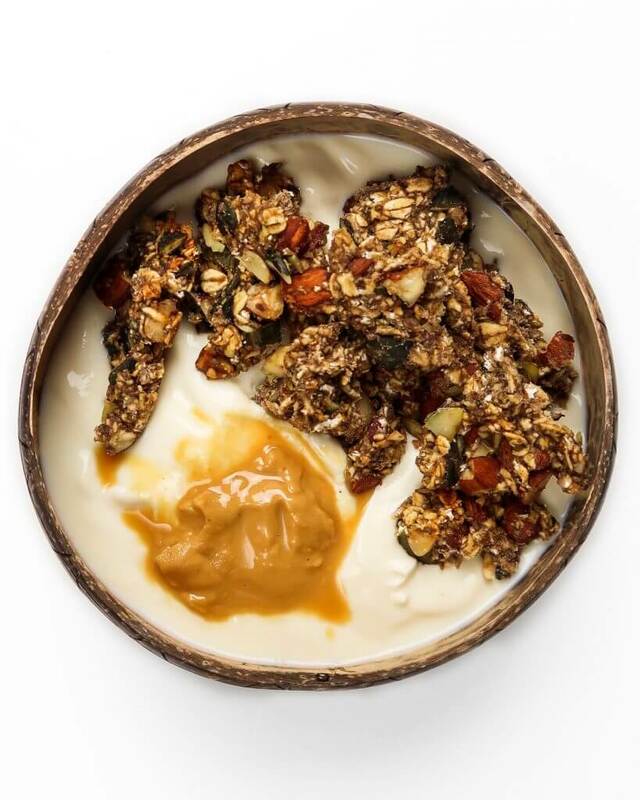 Instead of crumbling the granola into bite-sized chunks in the end, you could also simply leave it as is or cut into granola bars. Then you have a great snack to take to work or to school! Start by soaking the dates in hot water for ~5 minutes. Preheat your oven to 160°C/320°F. Add the dates and bananas to a food processor or blender and blend until smooth. Transfer to a big mixing bowl. Add in the tahini, vanilla extract, rolled oats, crushed nuts/seeds and a pinch of salt. Mix well but do not overmix. 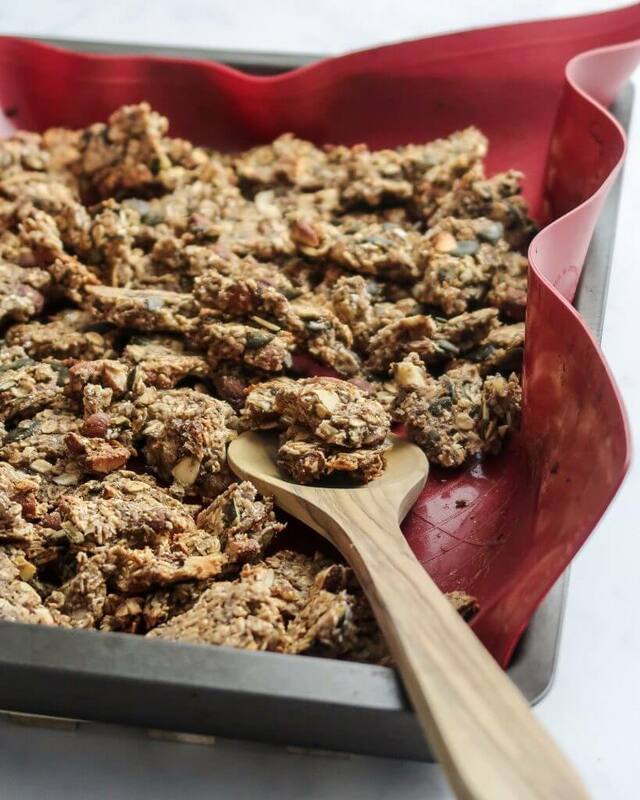 Transfer the granola mixture to a lined baking tray and press down to form a block of granola. Bake for 15 minutes, then flip the granola and bake for another 20 minutes until golden brown. Remove from the oven and let the granola cool before you crumble it into bite-sized chunks (or whatever size you prefer). You can get very creative with this recipe and add in any nuts or seeds (walnuts, pecans, almonds, hazelnuts, pumpkin seeds, sunflower seeds…) that you fancy – just make sure to use the same measurements. You could also add some dried fruits such as raisins, apricot or plums. Instead of tahini, you can also use any other nut butter like almond butter or peanut butter. Make sure to use a runny nut butter or melt it before you add it. 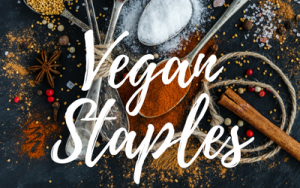 Are you looking for more healthy and simple vegan breakfast ideas? 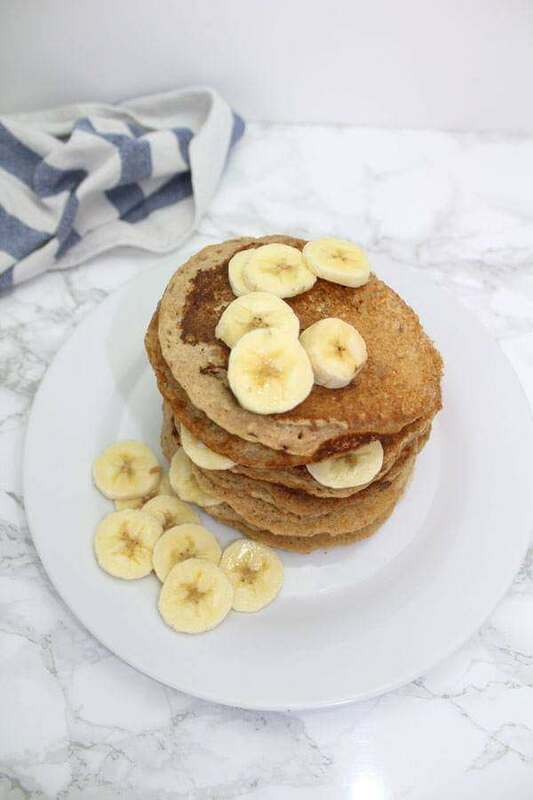 Check out these easy vegan banana pancakes that my friend Chloe from Baked By Clo made with only 4 ingredients! Don’t they bakedbyclo.com/easy-vegan-banana-pancakeslook amazing? You might also like this sweet potato porridge, this healthy tofu scramble or this iron-rich orange quinoa porridge!